As retailers across Canada gear up to join the annual ritual of deep discounts and record online traffic known as Black Friday, Moneris Solutions has released a few numbers illustrating what they can expect. According to Canada’s largest credit and debit payment processor, Canadian retailers can expect a six per cent increase in Black Friday sales this year over last, with the top categories predicted to be women’s clothing, home renovations, and home furnishings. The company also expects the number of contactless payments to exceed 50 per cent for the first time this year, after 47 per cent of Black Friday payments were contactless last year. 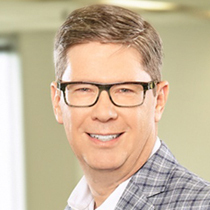 Moneris chief product and partnership officer Malcolm Fowler says Canadian retailers should expect higher sales on Black Friday than Boxing Day. Retailers might be surprised to learn the once-American tradition of Black Friday has vaulted past Canada’s own Boxing Day, with the value of sales on Nov. 24 expected to be worth nearly double those on Dec. 26, Moneris chief product and partnership officer Malcolm Fowler tells ITBusiness.ca. Though a U.S. fixture since the 1950s, Black Friday only started becoming a force in the Canadian retail industry relatively recently, Fowler says, though since 2011 especially Black Friday sales have grown faster than average retail spending in their respective years, as seen in the table below. “It took a long time to shift Canadian behaviour, because we don’t have a holiday on that day, but I think the presence of online sales and Internet advertising have contributed to rising awareness [of Black Friday], and as a result I think people are starting to plan earlier and continue throughout the season,” Fowler says. This year, Fowler says, the company expects Dec. 22 – the last Friday before Christmas – to witness the most transactions as millions of Canadians buy their gifts last-minute. Moneris also released year-over-year sales gains for last year’s Black Friday by province, illustrating that not all growth is created equal: Retailers in Quebec and Ontario, for instance, experienced substantial gains of 10 per cent or more, while those in Nova Scotia and Alberta received the equivalent of a lump of coal. 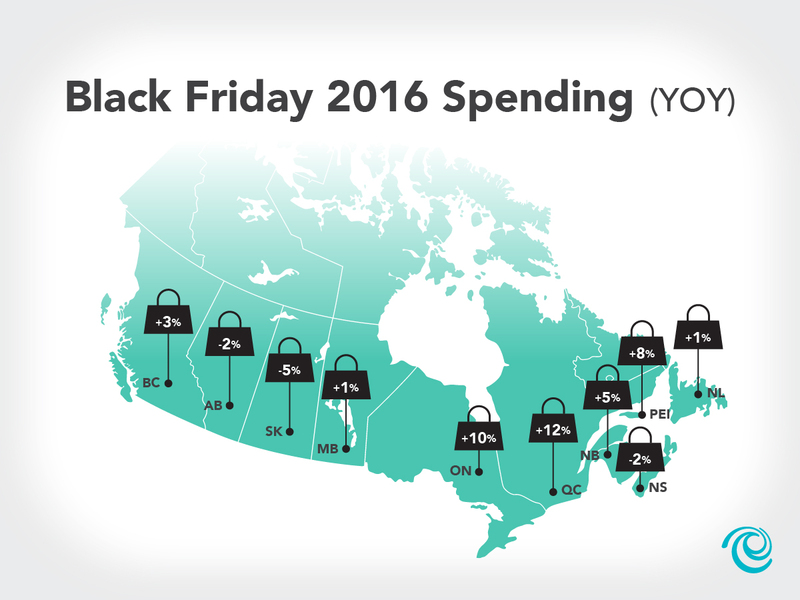 “Just like we report that some provinces are doing better than others throughout the year, you see that type of adjustment reflected in the Black Friday spend as well,” Fowler says. As for the top categories, Moneris based its predictions on the categories which saw the largest week-over-week gains in 2016: Women’s apparel saw an increase of 189 per cent on last year’s Black Friday, while home renovation saw a 107 per cent increase, and home furnishings increased by 95 per cent. “It’s probably a little too late for retailers to plan now, but hopefully they’ve been watching the trends and know they should be staffed up tomorrow more than they should on the 26th,” Fowler says.